The author of I Had a Favorite Dress returns with this buoyant tribute to creativity, for readers 5 to 8. Our young narrator tells us how her favorite hat is a flippy floppy beach hat; she loves it so much that she won't let Mama put it away with the summer clothes. With some ribbons and buttons and fabric, it can be just the thing for Halloween, or birthdays, or winter holidays, or even Valentine's Day. 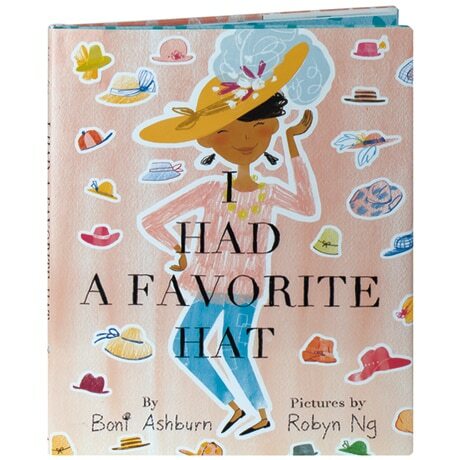 The lighthearted joy of dressing up with your best friend and inventing your own style are what this book is all about, captured in Boni Ashburn's bubbling rhymes and Robyn Ng's exuberant collage illustrations.